Came across this bike blessing after walking through the village of Dunham Town the previous day and seeing it advertised out side St. Marks church . The music by Boss Hogg started at around 12 and by 4pm had finished so very little disturbance was caused to the few residents close by. Refreshments were tea and soft drinks only and with the bikes being immaculate and the riders very friendly no one could call this a rave and it only took 4 officers to police it and their only duty needed was to man the couple of road junctions as the bike parade took place. Three wheeled, wonder if they call them trikes. Nicely concealed lighting on the front of this bike. Just one of the many stunning machines on show. Below the Rev. Jerry Sutton, who along with his wife own Harley Davidson`s, bless the bikers. 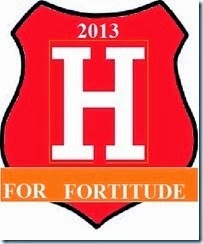 May god bless you and keep you safe on this machine. in the freedom of the open road, the fellowship of other bikers and in each person you meet. May the lord be with you at home and on the open road. May he accompany you when you start on your many journeys. May he keep all your riding safe. must be a bikers dream or nightmare depending how you see it. Click on the video above to watch the bikers ride by after being blessed. I counted about 100 including some scooters, Vespa Lambretta etc. Looking round the Hall didn`t appeal to me so I just enjoyed walking through the deer park and past the lakes. Near to the Hall was an old Tudor water mill that was used to grind corn and later in 1860 it was converted to a saw mill and is still in full working order. The whole property is quite pleasant for a walk around and the fallow deer graze close to the footpaths quite un-disturbed by the presence of people. view i had from the boat high up above the R. Weaver and above looking ahead can be seen the white arch of Acton swingbridge on the Weaver, so altogether a wonderfull all round view. entering but this one is 1239yds long and it is time controlled. Going north as we are we can enter on the hour to 10 mins past and if coming south it`s on the half hour up to 10 mins after. This gives each group of boats 20 mins to travel through. On exiting Preston Brook tunnel we are on the Bridgewater Canal which was opened in 1761 and in 1885 the Manchester Ship Canal co. purchased the Bridgewater and all it`s assetts for £1,710,000. Below is Thorn Marine at Stockton Heath, the building is on borrowed time as it is due to be pulled down to make way for flats some of which are being built out of picture to the left on ground that was at one time canal company buildings. Also opposite Thorn Marine a large covered un-loading dock has been pulled down replaced by yes more flats. SHAMEFUL. But that`s business and Peel Holdings who own the M. Ship Canal Co. have to produce dividends for its shareholders. Below the village of Lymm with the streets coming down to the canal side. Next stop on the blog will be Dunham Town where something unusual happened, bikers and religion came together. "VALERIE sits in Star Lock the bottom of the flight through Stone. A couple of locks further up the flight Newcastle Road lock and you can see the tunnell that the boat horses used to pass under the road. A nice row of cottages near Barlaston. One of the many thousands of Bottle Kilns that used to dominate the skyline back in the pottery making days. Etruria bone & flint mill built 1857 now scheduled as an ancient monument. It`s purpose was to grind raw materials for farming and pottery making. It sits on the junction of the Trent&Mersey with the Caldon canal. Passed a fellow bloggers boat "Granny Buttons" but sadly no sign of Andrew Denny on board. Coming out of the north portal at Harecastle Tunnel. Actualy there are 3 tunnels through this hillside. Brindley built the first in 1777, the entrance can just be seen to the left of the blue BW boat it had no towpath so boats had to be legged through while the horses were walked over the hill. The tunnel in the centre of picture in line with the green boat was built with a towpath in 1827 by Thomas Telford. The towpath has now been removed and a one way 8 boats at a time operation sees boats through. The 3rd tunnel built years after the canal tunnels was for the railway but is now not in use as the railway goes around the hill. These pair are OAK&ASH hotel boats they travel the canal system one towing the other and a crew of 3 look after 6 guests. 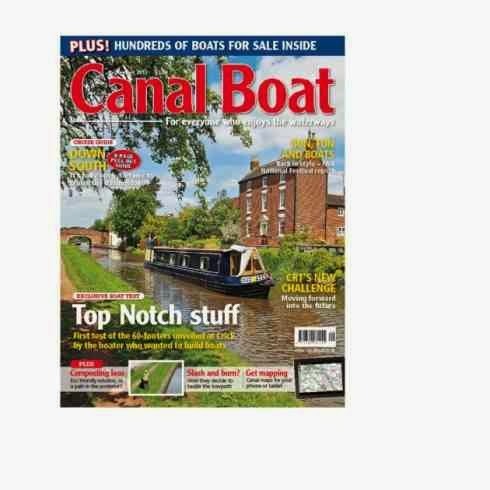 About £600 per person inc of food and when you think a boat of your own can cost a £1000 and your food on top and work the boat yourself its not such a bad way to see the canal system. Between Stoke & Middlewich a lot of the locks are paired so a boat can come up as one goes down but sadly as in the bottom pic a lot of them have become un-usable and i think that with BWs reduced funding they are going to stay that way. This is Shugborough Hall which was the ancestral home of Thomas Patrick John Anson 5th Earl of Litchfield better known perhaps as Patrick Litchfield (1939-2005) the well known photographer of royalty. Mainly because of death duties it is now owned by the National Trust and run by Staffordshire county council. George Anson(1697-1762) a decendant of William joined the navy at 14 and became an Admiral. During his famouse circumnavigation of the globe he captured a Spanish treasure Galleon that netted him £400.000 pounds part of which helped to develope Shugborough and buy more land. It`s very interesting to read especially as we can relate it to Parick Litchfield take time to read the history by clicking here. Above and below are pictures of Essex Bridge Grade one listed and built in 1550 for Queen Elizabeth 1 so she could hunt in woodland around the village. Only 14 of the original 40 span arches remain. Couldn`t get a horse & coach over there.......read on. Below standing on Essex Bridge the rivers Trent&Sow join. under this iron bridge was completed in 1777 so it is safe to assume it came later but i would love to know. It`s strange that when you are working these things don`t form part of your life but when retired and travelling with time to spare you have time to investigate. Trent and made this epic journey to church possible for the Anson family. The story goes on in as much as when his lordship had a disagreement with the vicar at the village church he built a roadway to the next village Little Haywood so he could attend church. So if you venture this way walk across the iron bridge and bear right and you can follow through the woods what was his road to the second church. to close to the hall and they wanted more privacy so the village was moved. So if you`ve rotten neighbours build them a house somewhere and when they get back from work tell them they`ve moved and their demolished house is now part of your estate. Just the time now to say goodnight with the sun setting as i sit in the boat and the one below is because i could be bothered to stand on the front deck so you could have a better view. 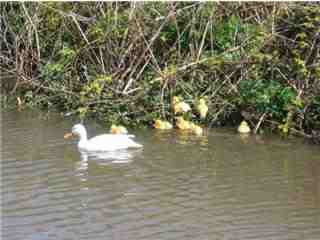 Just a quick blog as the first ducklings of 2008 have been spotted and i`m still experimenting with video on the camera. These duckling pictures were taken by Tina on board "YTENE" as i missed them and i must stress they are the copyright of the photographer, please don`t nick them, Tina beat me arm wrestling in a pub last year so i don`t want any copyright problems!!! Video of NB VALERIE rising in Stoke on Trent top lock. Travelling along the Trent&Mersey we will be passing through Stoke on Trent on upto Preston Brook along the Bridgewater Canal skirting Manchester through Wigan, Blackburn and Burnley. 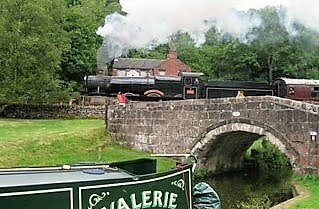 The final destination will be York but our first aim is to get to Skipton for the boat festival over the May bank holiday 3/5th. so i need a few more yet then the web being addictive as it is i went on to find which of these countries are the largest and the top 3 are Russia,Canada&USA but the population of the world came up with China as most populated followed by India&USA. Anyway if you go abroad can you only go to a country not on my list and whilst there log into the blog so i can achieve worlwide coverage. this 130yd tunnel around the early 1970`s due to subsidence, suppose boaters couldn`t duck down anymore. Cruising in to Rugely long before you arrive the power station can be seen on the skyline. It generates 1,000 Megawatts of electricity enough to supply 1/2 million homes and each of those towers could house the dome of St. Pauls Cathedral. Having a couple of days rest waiting for some post to arrive via the Royal Mail Poste Restante service at the local post office. Taken the time waiting to touch up some of the paintwork and change the fuel filters. Woke up this morning in Staffordshire to a blanket of snow covering the boat and surrounding countryside. The sun soon put everything back to normal and in fact within 2 hrs other than some snow on high ground it had all gone. Still it did look nice for a while and the pic below is the northern edge of Cannock Chase. Above and below signs of summer approaching swans have started nesting and below wild flowers coming on fast in Hopwas woods. This is a carving made by use of a chainsaw around the old reservoir that has been turned into a pleasant nature reserve with bird hide and good walkways. 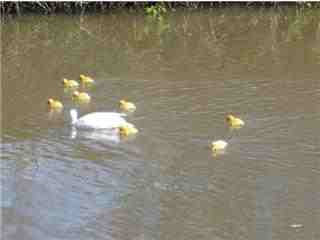 It`s opposite the BW office at Fradley Jct. My last picture is of the Armitage Shanks factory at Armitage near Hansacre and shows some of the bathroom fittings they make at this site, so really just a bog standard picture. Well we`ve travelled a bit lately having left Rugby passing through Atherstone, Tamworth and at Fradley Jct. we now find ourselves on the Trent&Mersey canal with Stone and Stoke on Trent ahead of us. As i finish typing this at 6.45 it has started to snow again. Summer Summer where are you? 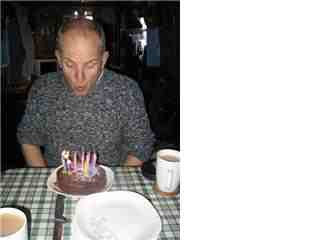 Well I`ve just before the Easter w`end celebrated my 60th birthday and below you can see me blowing out the candles on a chocolate cake aboard NB YTENE the home of my friends and travelling companions Andy&Tina. Thanks guys that was a nice thought much appreciated. So Easter w`end being the closest to my birthday I went down south to Bedfordshire and took the kids and the G`children out for a meal, ended up 14 of us and the debit card didn`t exactly melt but got a little warm. 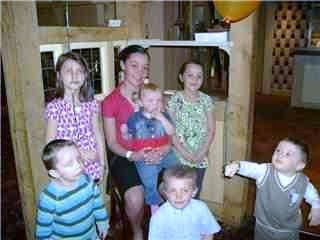 So below at rear left to right Jordan, Nicole with Keira on her lap and then Lena-May. In the foreground the boys sticking together Keirnan, Jack & Teo who decided the balloon was more important than looking at the camera. Arriving back from the birthday meal with the kids, below you can see John on NB TUI has caught us up after being delayed by late running maintenance on the Buckby flight of locks so now we can start travelling. The original route of the canal went right past the door of the Barley Mow above. So after filling up our water tanks we set off through the Newbold tunnel complete with its lighting. This tunnel was built in the 1820s when the Oxford was straightened, the original tunnel can still be seen in the churchyard across the road from the Barley Mow. 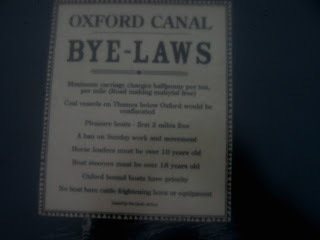 Came across this list of Oxford canal bye-laws and in case you can`t read it some are listed. Coal vessels on Thames below Oxford will be confiscated. Pleasure boats first 2 miles free. Horse leaders must be over 10. Boat steerers must be over 18. Oxford bound boats have priority. No boat to have cattle frightening horn or equipment. A lot of the bridges in the Rugby area are decorated, beats graffiti. Above and below are pictures of Charity dock boat yard on the Coventry canal near Bedworth. More like a scrap yard than a boat dock, in the top pic you can see a Dell Boy yellow 3 wheeler sticking out of the tree. The last post was a joke, after all it was April 1st, Sorry.